L.I: to identify the causation, responsibility, and change in an issue. 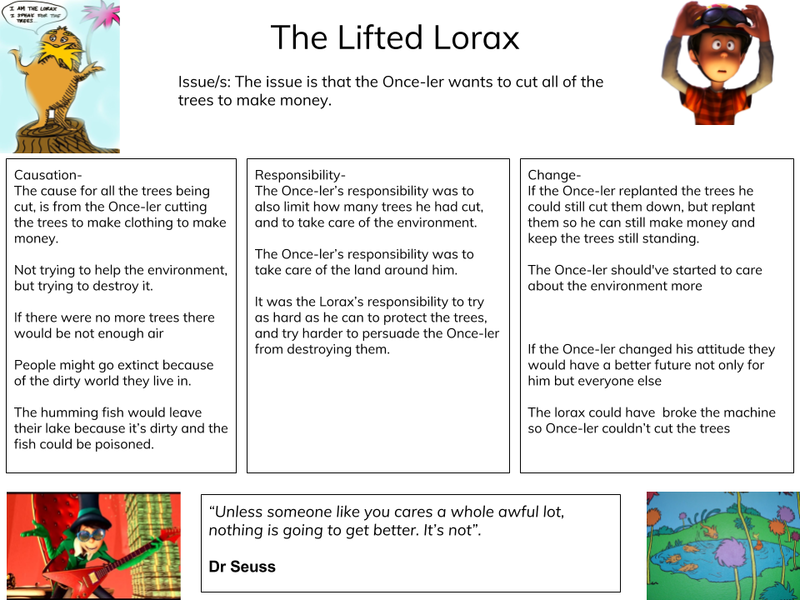 This week for inquiry, we have been learning about what we have done to our environment around us, and how to make a change. A way we learnt about what is happening was by reading The Lorax, which was about saving the trees. We then got with a partner, and thought of the causation in the story, the responsibility, and ways we could change.